This review was originally published by the War on the Rocks on 19 April 2016. A 10,000-person manhunt for several dozen Uighurs-turned-terrorists led Chinese officials to a cliff-side cave in western Xinjiang province last fall. Flash grenades, tear gas, and flamethrowers were used to try to force the suspects out alive. Last month, in neighboring Indonesia, Chinese Uighur militants appeared on most-wanted lists for affiliations with the Eastern Indonesia Mujahidin terrorist group in Central Sulawesi. Officials in Beijing have been quick to link both seemingly disparate headlines of terrorist activity to “foreign-led” extremist groups like al-Qaeda and the Islamic State (ISIL). But the reality of such linkages is far more opaque. Despite the extent of known unknowns — ranging from the number of Chinese foreign fighters, to how and whether Uighurs are receiving training and support, to the possibility of future Uighur attacks on Chinese soil — Beijing has unleashed an aggressive counterterrorism strategy to check the growing threat of terrorism. Before September 11, anti-Chinese Uighur attacks were gaining momentum. Chinese officials point to kidnappings and attacks on Chinese businessmen, as well as the assassination of a senior diplomat. However, the specific links between these Uighur-led acts — and the support networks of external terrorist cells were unclear. A report published by the Chinese mission to the United Nations in November 2001 marked the first official step in retrospectively tying Uighur militancy under the auspices of ETIM to al-Qaeda. 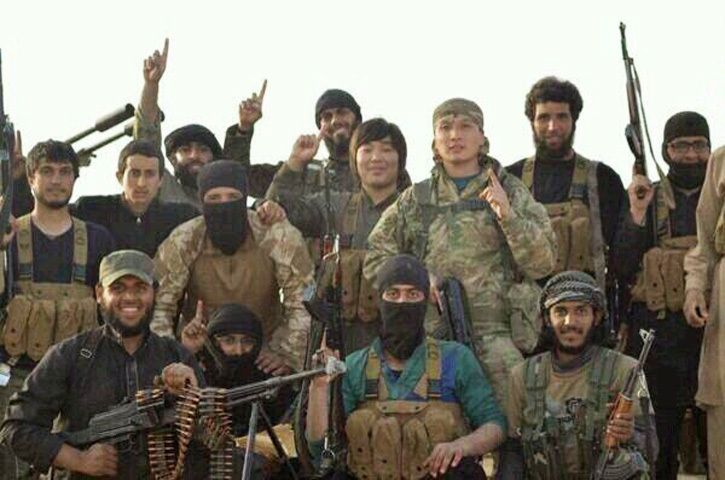 At China’s urging, Washington placed ETIM on a list of known terrorist organizations. Uighur actions were explicitly tied to terrorism, falling within the U.S.-led global war on terror narrative that emerged in the immediate aftermath of the September 11 tragedies. Beijing sees the advent of the Islamic State and the growth of Islamic extremism abroad as a dangerous opportunity for growth in the Uighur separatist insurgency, both domestically and along China’s periphery. The rise of Uighur militancy in the era of the Islamic State has pushed China to develop a counterterrorism strategy, one that officials argue is “distinctly Chinese” in nature. Given the rise of the Uighur problem, and the likely empathy some Uighurs may find with the cause of the Islamic State, what has emerged from Beijing over the last few years is a strategy that tackles both domestic separatism as well as the potential for homegrown ISIL-style terrorism. China has enacted laws to increase the powers available to the central government in dealing with perceived terrorist threats, a step officials maintain is necessary for preventing and punishing terrorist activities as well as for safeguarding security and protecting the lives and property of all Chinese citizens. Beijing’s strategy can be condensed into three prominent — but inherently conflicting — themes: domestic crackdown, repatriation from abroad, and non-interference. Beijing began a heavy-handed response to the growth of terrorist threats in 2014 with a nationwide crackdown, transnational cooperation with the Shanghai Cooperation Organization, and hefty boosts to the budgets and numbers of police, military, and paramilitary forces in Xinjiang. Countless laws were enacted to delineate the acceptable practice of Islam, ranging from bans on fasting during Ramadan to those on publicly wearing a veil or other Islamic clothing. Thus, this first element in Beijing’s counterterrorism strategy, a domestic crackdown, appears to serve a dual purpose. On one hand, Beijing is able to stymie the growth of a religion thought to undermine the Party’s monopoly on power; on the other hand, the stern response to terrorist threats gives returned jihadists little breathing room in which to acquire a local following and develop homegrown terrorist cells. The second element of Beijing’s counterterrorism strategy — repatriation from abroad — is a reaction to Uighur militants fleeing China via southeast Asia en route to Iraq or Syria. In mid-2015, despite staunch opposition from the United States, Thailand repatriated 109 Uighurs that Beijing claimed were en route to Turkey, Iraq, and Syria to “join jihad,” their fates unknown as they disappeared into the Chinese prison system. What the case of Thailand, as well as a similar trajectory of events in Cambodia and Pakistan, and increased pressure on Afghanistan, reveal is a Chinese ability to coerce its neighbors despite a lack of evidence linking Uighurs abroad as en route to train with terrorist groups. The Uighurs that have ended up in Thailand, Cambodia, or elsewhere in southeast Asia are more likely to have fled religious oppression than to have pursued the desire to fight alongside ISIL forces. Lastly, China’s ability to effectively develop and engage in counterterrorism efforts will be constrained by its tradition of non-interference. Non-interference, a cornerstone of Chinese policy since the 1950s, does not mean inaction. What it does mean, however, is that China views the global instability perpetuated through the rise of ISIL as a result of American “tyrannical foreign policy,” and something for which Beijing feels it should neither be responsible nor expected to assist in handling. As we have already seen, Beijing will likely continue to avoid interference in the affairs of other states even under the auspices of counterterrorism, so long as Chinese domestic stability, territorial integrity, and the Party’s continued legitimacy are not endangered. China has responded to the threats within and along its borders, developing a counterterrorism strategy that encompasses policy initiatives, legal frameworks, and CT operations. But the existence of a CT framework cannot be construed as an effective strategy for tackling the underlying sources of Uighur militancy, let alone the largely unrelated threat of separatism. Even the recent surge in terror convictions should be taken with a grain of salt. Convicting 1,419 people in 2015 for “harming state security” is testament to the Chinese legal process that yes, may well entail trying those involved in terrorist plots, but just as easily could include less violent endeavors seen to subvert the Party or Chinese state. The number of Uighur militant-led attacks has undoubtedly increased, as has the threat to China’s human security. But the reality is that more is unknown than known in terms of the extent of ISIL’s threat to China. Despite the expansion of the Islamic State elsewhere, it is not yet apparent whether it has taken strong hold within China. Perhaps this can be attributed in part to the far-reaching counterterrorism strategy China has in place — a strategy that may risk conflating all Uighurs as terrorist militants, but one that has been severe enough to check the capacity of what few jihadists may return to Xinjiang with an intention to form homegrown terrorist cells. That said, Beijing is treading a tenuous line between expanded counterterrorism and de-radicalization efforts, and repression of an ethnic minority searching for greater autonomy and religious freedom. From al-Qaeda to the Islamic State, a few disenfranchised Uighurs have indeed found cause to wage jihad, but their numbers in both Syria and Iraq are likely to be quite limited. Perhaps more likely, the increase in Uighur extremism may be due to Beijing’s repressive tactics toward the ethnic group, rather than the direct influence of TIP, al-Qaeda, or ISIL. The story of the Uighur terrorist threat, and its influence in an era of the Islamic State, is at best complex. Despite a pledge to “oppose coupling terrorism with any specific ethnic group or religion,” the post-9/11 influence of first al-Qaeda and now the Islamic State has given Beijing incentive to do exactly the opposite. Uighur extremists that embrace the TIP-led cause are seen as a direct threat to China’s stability and human security. To a certain extent, Chinese interests vis-à-vis the Uighur militants do not differ significantly from the United States or NATO member countries facing terrorism — all seek to check latent threats to their societies. There is undoubtedly room for China to eye cooperation with NATO partners for non-combatant evacuation operations; equal potential exists for joint CT training operations and intelligence sharing with southeast Asian partners where Uighurs have recently popped on grid. But, ultimately Beijing will remain constrained by its principle of non-interference, patiently awaiting the U.S.-led strikes to combat the spread of extremism to Chinese borders while it wages its own domestic counterterrorism fight on the home front. Lauren Dickey is a PhD candidate in War Studies at Kings College London and the National University of Singapore. Her research focuses on cross-strait ties, specifically Xi Jinping’s strategy toward Taiwan. She was formerly a research associate at the Council on Foreign Relations.